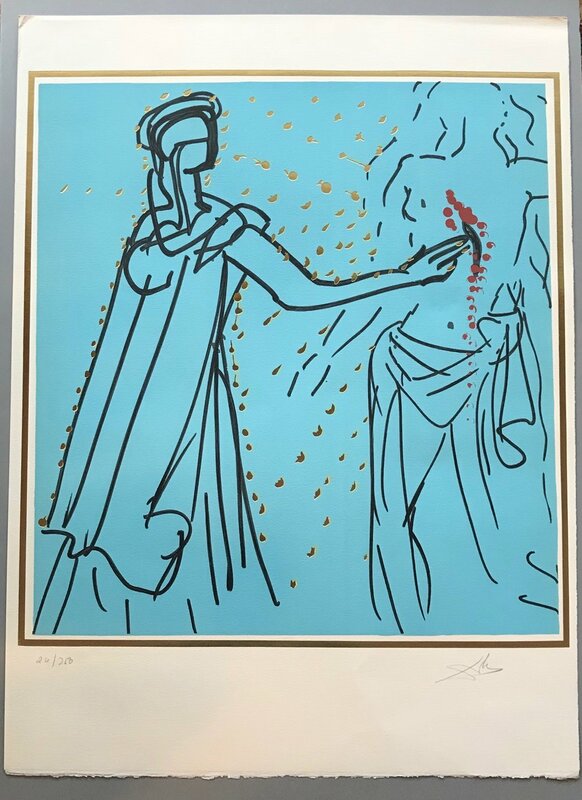 A vibrant collection of twelve Salvador Dali lithographs was just added to our online store. 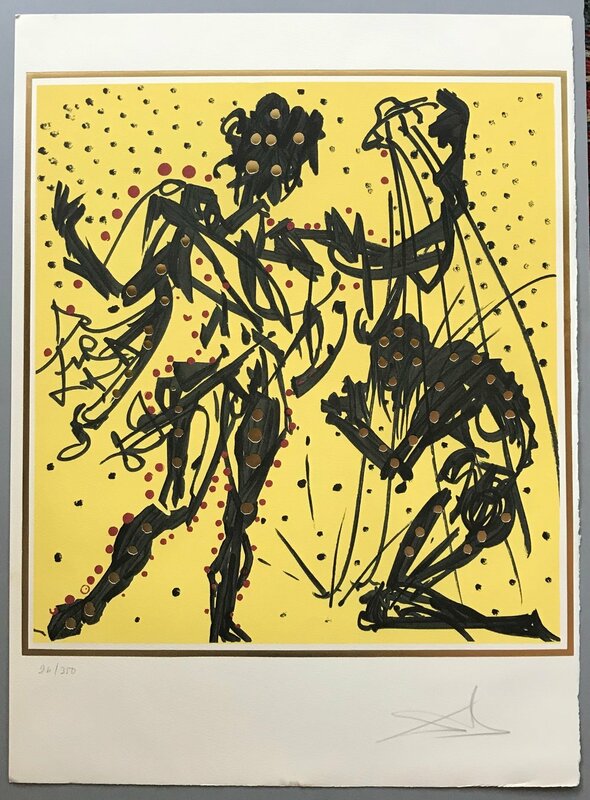 Collectively, the group is known as “The Twelve Apostles” or “The Knights of the Round Table” (1978) and each lithograph is after an original gouache painting. All the prints are imbued with a contagious kinetic energy only enhanced by the addition of metal foil details. 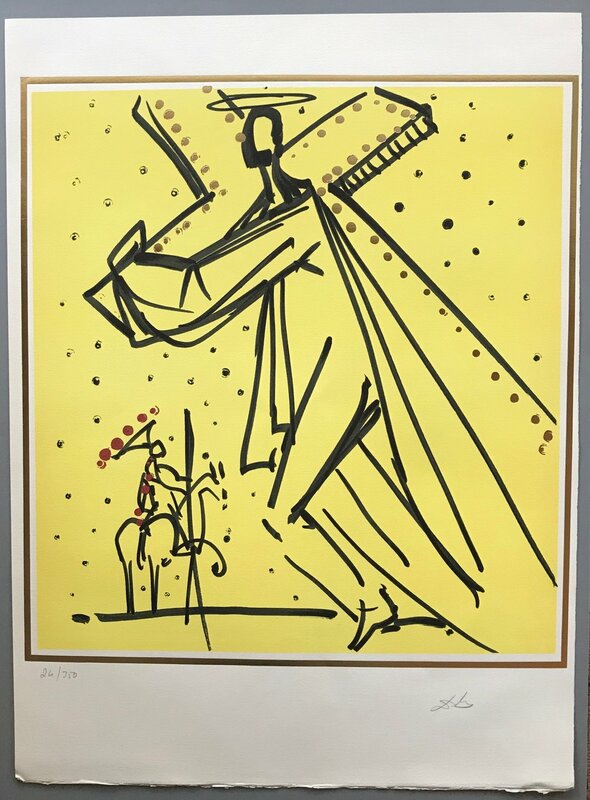 Dali’s black line appears to always be moving atop the vivid blocks of color behind. 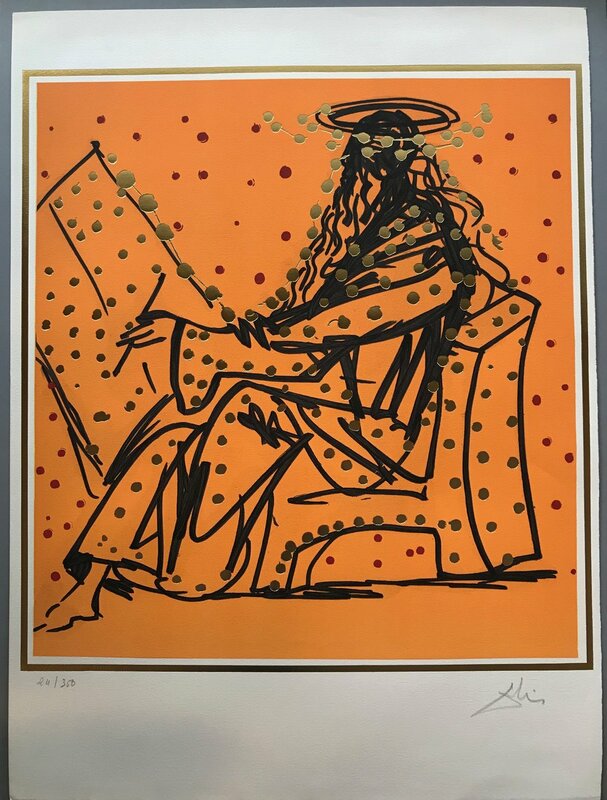 Distinct from his surrealist painted works, these lithographs echo his other etchings and lithographs and they center around Christian iconography as did much of his other work. His lack of hesitation to treat traditional subject matter in arresting and subversive ways, as seen here, is also characteristic of his style. Though there is some discussion surrounding the identification of the figures, they are accepted to be: Christ, James the Lesser, James the Greater, "The Watcher" and Saints Andrew, Mark, John, Peter, Thomas, Jude, Matthew, and Phillip. Each lithograph is pencil signed and numbered 24/350. They are all on loose sheets of paper watermarked “Arches France”. One single figure is featured on each sheet, set against a block of color. If you would like to learn more about this set, please contact us at jane@kenfarmerllc.com or call 540.731.1604.